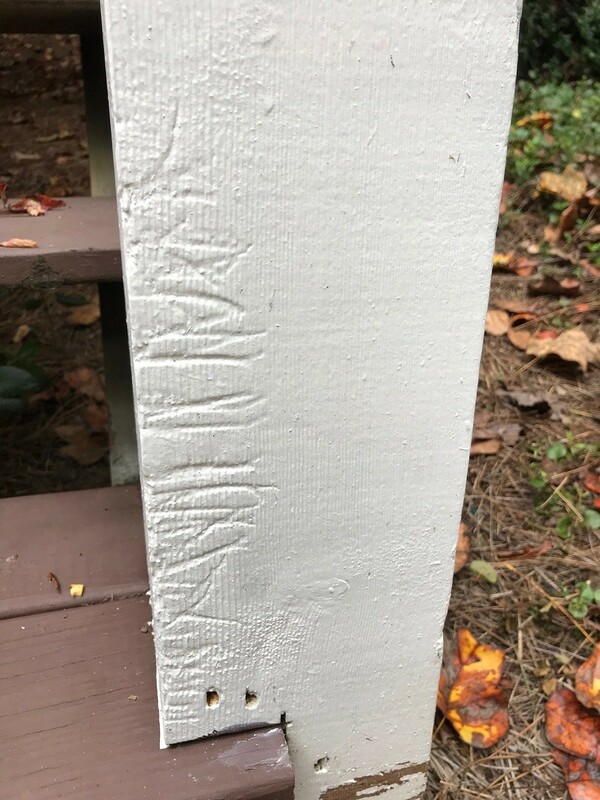 I have claw marks and eaten wood on the wood frame on my garage door. What is the next step? This is up to you. No doubt there are many animals which will “chew” on homes. And what they target can be anything from plastic to cement to wood. In general, this gnawing is done to sharpen or grind their teeth. In other cases it might be done to mark territory or even to use the wood for food. The short list of animals known to display this behavior includes MICE, RATS, SQUIRRELS, SHREWS, CHIPMUNKS, BEAVER, PORCUPINE and CATS. 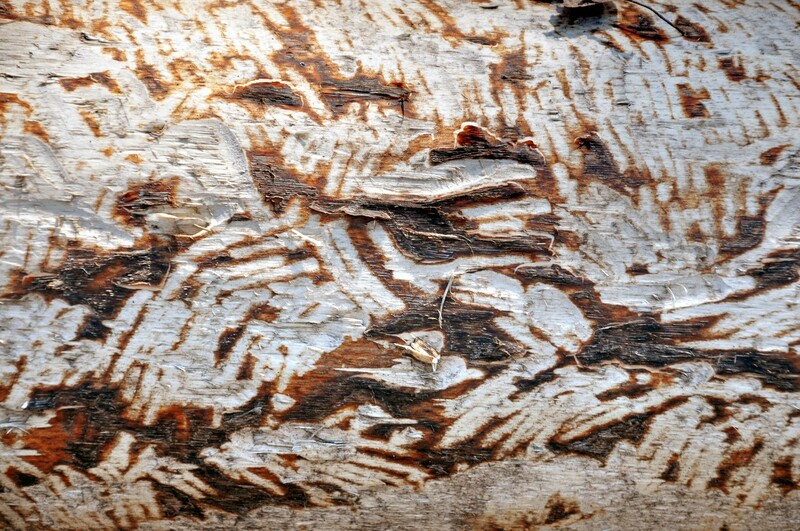 Beaver and porcupine might target wood for food but most animals clawing or gnawing are doing so for other reasons. Now once they start “on” the home, its just a matter of time before they get “in” the home. This is where things can become costly. 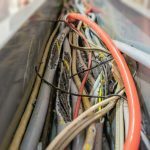 For example, they love to chew on electrical wiring which for obvious reasons can present a danger. 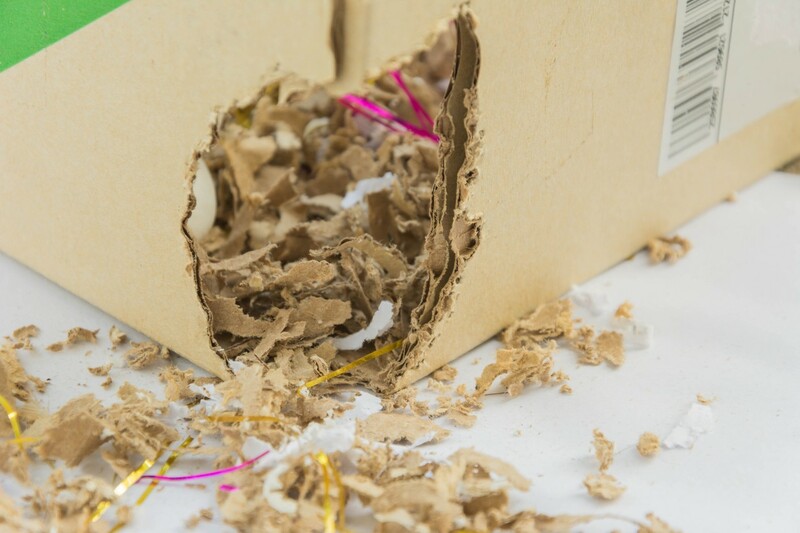 The most common evidence found in the home will be chewed boxes and/or food items. 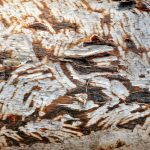 In the yard, these same animals will target trees, wood furniture, fences, decks and as you know, home siding. 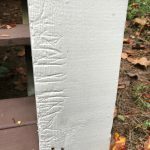 Here are pictures of beaver or porcupine damage on a tree and a deck damaged by chewing squirrels. So for most situations where this happens, knowing the animal involved is best as this will enable you invoke any of the listed resolutions our online articles detail. But many animals will be secretive and if they’re nocturnal, it could be hard and near to impossible to find them actively doing their “deed”. 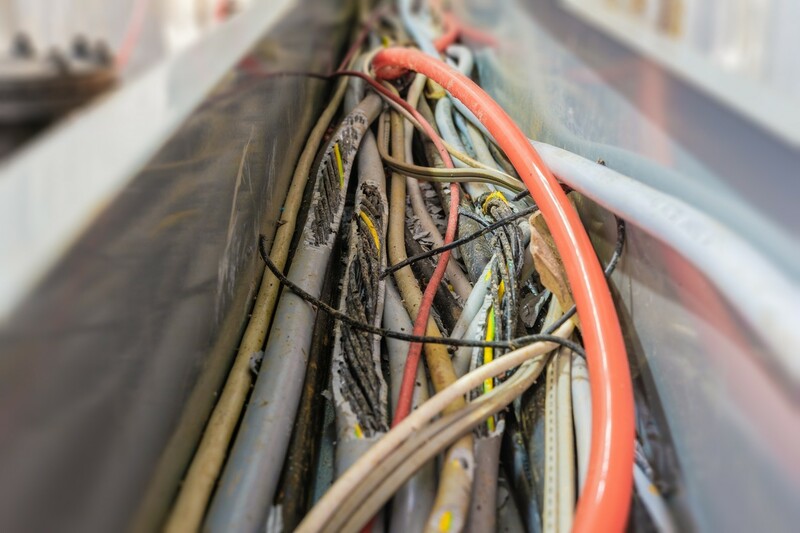 That being said, it could be best to take action now so you can prevent ongoing damage. So what can you do? Fortunately we offer two options which will stop the damage immediately. The first is to spray PEST RID over the area where you see the marks. Animals don’t like this product and will stay away from where its been applied. 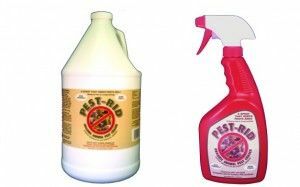 Commonly used to repel snakes and lizards, Pest Rid uses nothing but all natural ingredients to repel nuisance animals and insects. 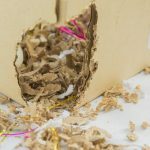 Treatments will typically last a month and once you chase away the offending animal, they will either stay away for good or find another part of the home to chew so you may want to treat all similar areas on the home initially. One quart can cover up to 125 sq/ft and it comes with its own spray bottle. The gallons will require a good TRIGGER SPRAYER to make the application. 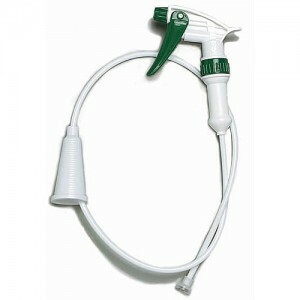 You’ll need a good PUMP SPRAYER if you get the gallon jug or our TRIGGER SPRAYER will do the job well too. For a more “permanent” solution, install our SOUND REPELLER. This device can be set “on” all the time if you power it with the included power supply that comes with each unit. Alternatively you can power it by batteries relying on the motion detector to “pick up” the approaching offender. The unit sends out ultra sound by default which animals don’t like and this is all you’ll need if using the included power supply. But if you rely on the battery power option, you should then turn up the “audible” sound to 60 DB’s. This way it will surely scare any animal approaching. This setting can also serve to alert you to activity so you know when its active in the area. These units are powerful and can cover up to 5,000 sq/ft so can keep it 10-20 feet away from the area and it will still do the job fine. And once you go 2-4 weeks with no new activity, setting it up in a location to protect the whole yard or side of your home would be a good way to maximize its potential. 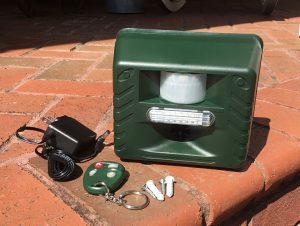 You probably won’t need a mounting block for the initial use and setup but ultimately, having one may allow you place the unit exactly where you want. Remember, it is electrical and needs to be off the ground to ensure it won’t be sitting in puddle of water.